Many people now know the importance for proper re-hydration. Electrolytes lost because of sweat due to strenuous activities should be replaced right away in order to avoid the negative effects of dehydration. This has led to the popularity of certain electrolyte drinks. Electrolytes are atom ions that are needed by the body for many important functions, including muscle contractions and nerve impulse transmission. When the body loses enough electrolytes may result in muscle cramps, something that many athletes are all too familiar with. Serious dehydration may lead to increased heart rate, pulse and breathing, which can become a hindrance to normal body function. Extreme dehydration may even lead to death. 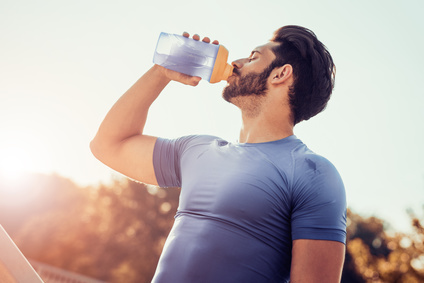 According to the American College of Sports Medicine, a couple of hours before an individual engages in rigorous exercise, they should consume a minimum of 17 ounces of fluids. Although plain water is beneficial for rehydration, medical practitioners consider electrolyte drinks as a better choice, since they help to answer the electrolyte imbalance. Electrolyte sports drinks customarily contain two or three minerals that help to replace lost electrolytes during rehydration. 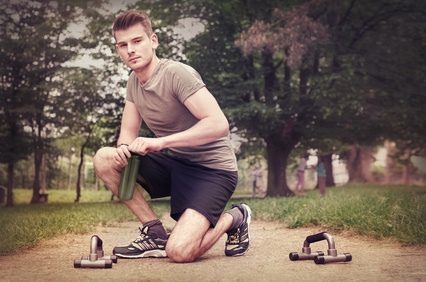 Athletes and sports enthusiasts often consume electrolyte drinks to sustain their energy levels. They can help to delay fatigue, speed up metabolism and replace essential minerals that have been lost. Electrolyte drinks are available in stores everywhere. However, if you’re looking for an ideal electrolyte drink, then look for one that contains Chloride, Potassium, Magnesium, Sodium and trace mineral electrolytes, which we will see can be found in a homemade electrolyte drink. Each of these components have different roles to play in the body. They work together to prevent dehydration and to enable the body to maintain an acid-base balance. For instance, Sodium and Potassium are necessary for electrical impulses in our muscles, nerves and brain. Magnesium is needed for numerous bodily functions. It is a sad fact that most sports drinks only have mention that they contain Sodium and Potassium. Second, they claim to help hydrate the body after rigorous exercise, but unfortunately they contain a lot of sugar. Because of the sugar and other chemicals, plus to get a more complete cocktail of electrolytes, it might actually be better to make your own homemade electrolyte drink. There are numerous ways to make a homemade electrolyte drink. The best I know of is to make one using Ionic Sea Minerals for an electrolyte source. 1/8 tsp. sea salt. This is optional, if added sodium is needed to prevent muscle cramps. Sea minerals are an excellent source of electrolytes, including Sodium, Potassium, Sodium, Magnesium and trace mineral electrolytes. With the above recipes, you get an excellent array of electrolytes and save a bundle of money at the same time in your very own homemade electrolyte drink. A second recipe utilizes Sea Salt, Sugar and Water. These ingredients can be found in anyone’s kitchen and it can be easily prepared. Just mix 10 parts sugar and 1 part sea salt into a glass of water and stir until fully dissolved. You can change the recipe by using honey in place of some of the sugar. Or try putting some apple in a blender and adding it to the mix. For a citrus based electrolyte drink, add lemon, lime or orange juice to a glass of water, with a pinch of sea salt. This is both refreshing, and contains a good mix of electrolytes. As an RN, I consider the above homemade electrolyte drinks to be better than commercially prepared sports drinks. The above homemade electrolyte drinks can provide the body with needed electrolytes at a fraction of the cost.